Hello my lovely readers and friends! 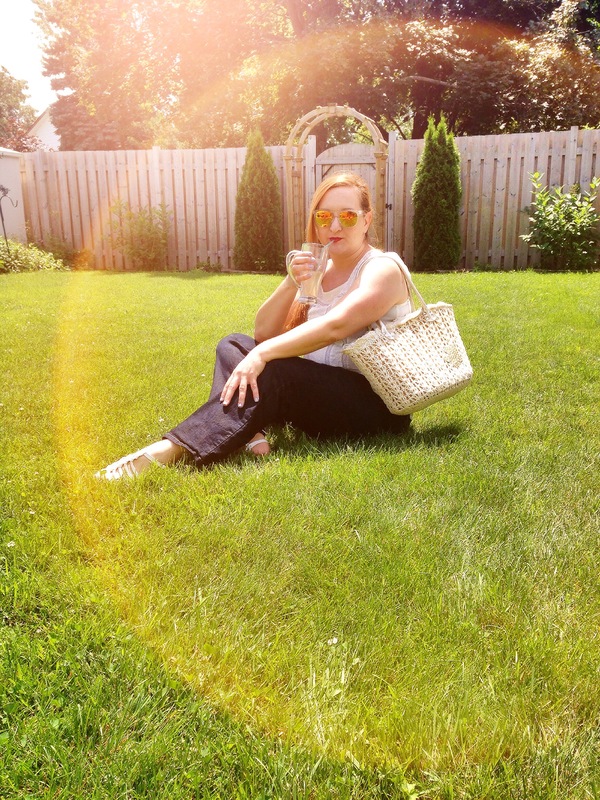 I wanted to share with you a lovely Reitmans Summer Look! 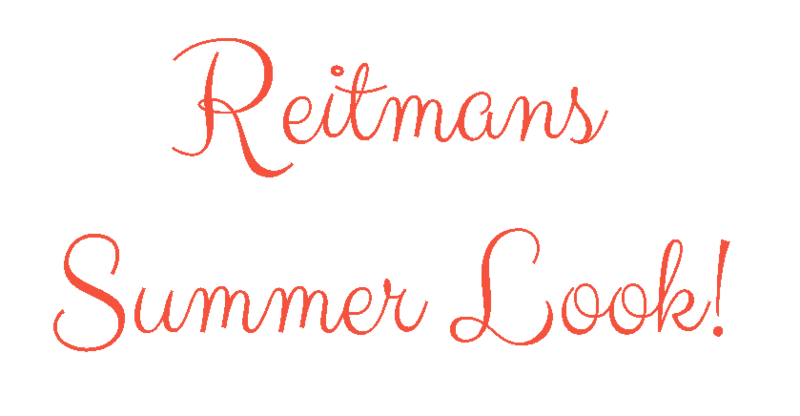 I’m a huge fan of Reitmans and I’ve always loved Reitmans clothing, shoes, bags and accessories. Reitmans has amazing quality clothing is very stylish and refreshing to wear. 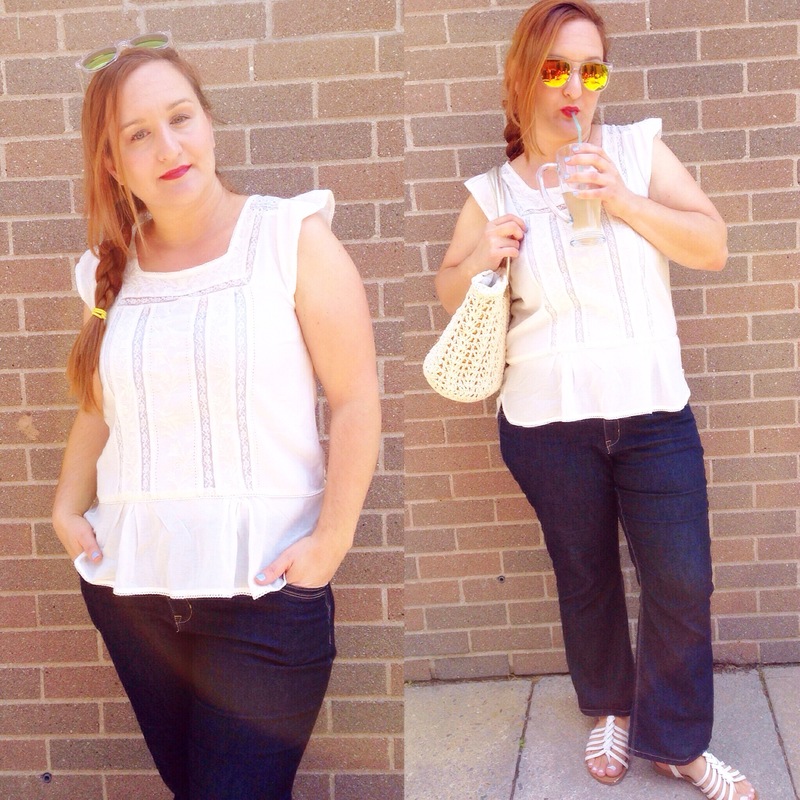 I bought a beautiful Embellished Blouse and it’s now on sale! I love the detail on the front and trim. It’s so pretty and it has buttons going down the back. It’s light and refreshing for Summer. I also love the yellow mirrored sunglasses with the clear trim. Very pretty and light. I always buy my jeans from Reitmans. The jeans always fit perfectly and are very comfortable. I love that they have PETITE size because I don’t have to get my pants hemmed. The sizes are also amazing because Reitmans clothing has Plus Sizes. Yay! 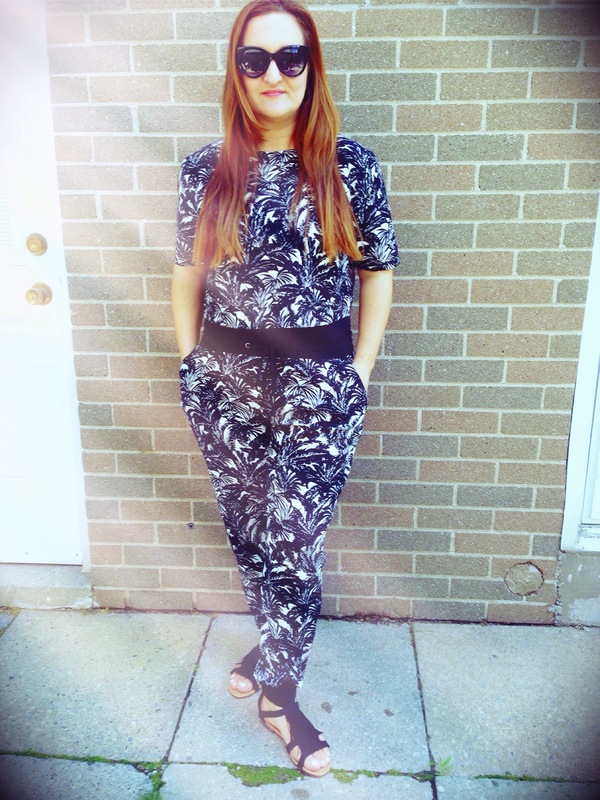 Here I am wearing a beautiful Patterned Printed Crop Top with Patterned Printed Pants that are tapered at the bottom. I can’t tell you how soft and comfortable these pants are! So soft and comfortable yet stylish and very in style! 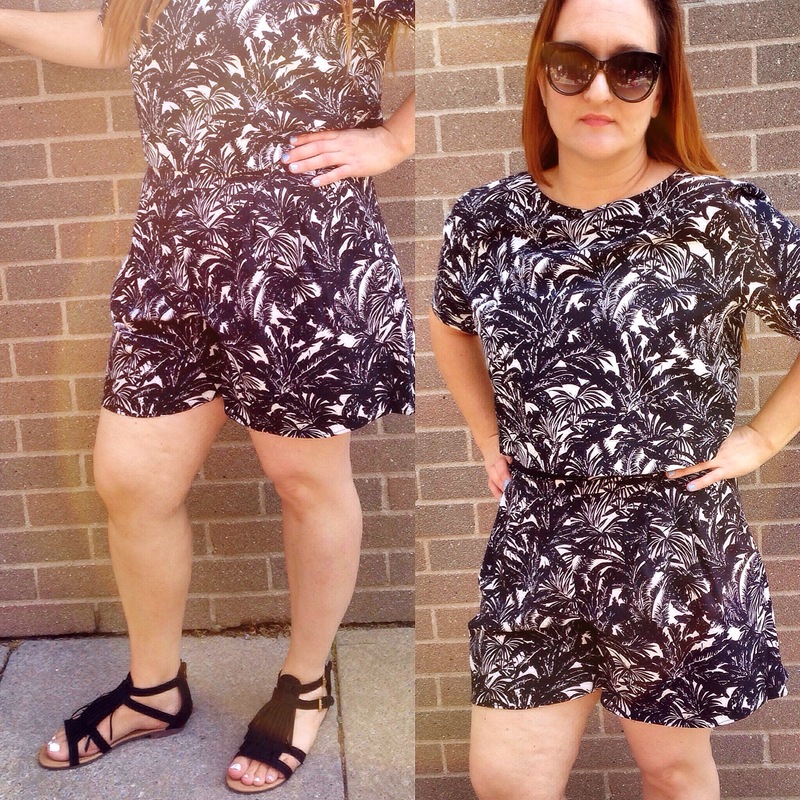 I am not a shorts kind of girl but I just had to buy the Printed Shorts to go with this outfit! The Summer gets hot and the material is perfect for hot days! The Printed Shorts are light and soft! I really love the glasses because they have a cat eye cut. So beautiful! I really love the sandals also with the fringes. Very comfortable and very Boho! I love them! 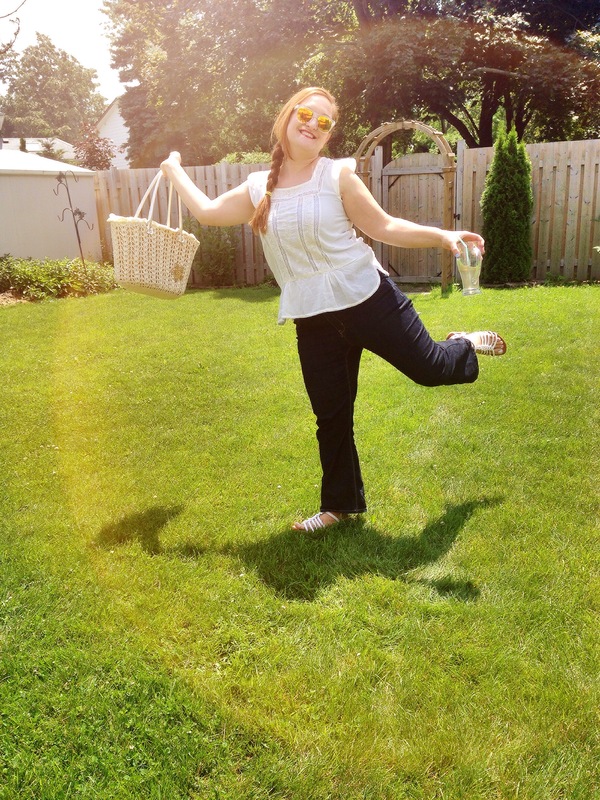 Here I am having a little fun in the sun! 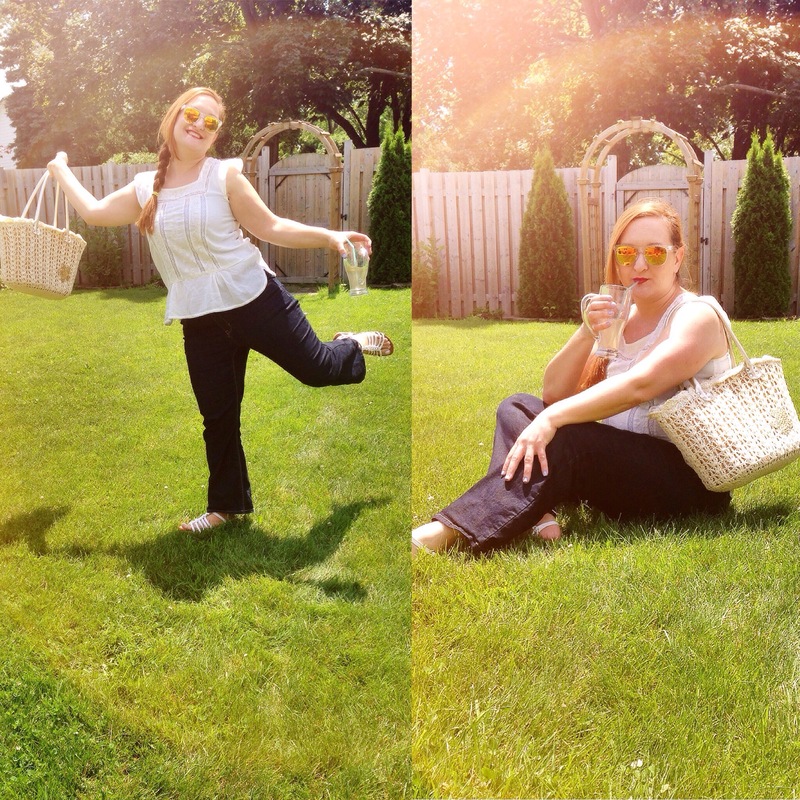 Enjoying some ice tea and very comfortable with my stretchy jeans and light airy top. The white sandals are from Reitmans from last Summer. They are amazingly comfortable! Thank you all so much and I hope you enjoyed my post. If you would like to see more posts like this let me know! I would love to continue the Fashion Looks for you! Have a beautiful Summer! *All products have been purchased by me. I have not been paid to create this post.